Police figures in January 2016 showed that more than 900 motorists in England, Wales and Northern Ireland tested positive for drug driving during the build up to Christmas. New drug driving legislation was introduced in March which allows officers to run roadside screening tests (similar to those used on suspected drunk drivers) to test for 17 illegal and prescription drugs. The National Police Chiefs’ Council has stated that the figures demonstrate how the new law is being used to make our roads safer. The figures show that 110,226 motorists were breath tested to check for alcohol or drugs in December which is actually down from 133,996 motorists in 2014. However, over 5.4% either tested positive, refused to take the test or failed to give enough breath (each of which would constitutes an offence) which was an increase of 1% from the previous year. Statistics for England and Northern Ireland have not been released but it was reported that 99 motorists were arrested in Wales during this period. The BBC reported that Chief Constable Suzette Davenport, of the National Police Chiefs’ Council, said that officers had focused its attempts on “high-risk locations” which were determined via their use of local knowledge and intelligence of the areas. The new handheld “drugalysers” made it possible to easier investigate and/or make arrests of suspected drug drivers which were the intention of the new legislation – to streamline the previously difficult drug driving legislation. “Over the last Christmas, we detected and prosecuted more people than ever who have taken the very dangerous risk of driving after taking drugs,” she said. It is therefore likely that the overall number of “drug drivers” was significantly higher but were reported as drunk drivers and therefore not recorded. We would expect this to change however as police forces become more accustomed to implementing the relatively new legislation and the costs of pursuing drug driving cases will inevitably become less expensive and more in line with cases involving drink driving. With the use of so-called “legal highs” being so widespread in today’s world it would not be surprising if the number of drug driving cases to continue to rise. Driving whilst under the influence of drugs is one of the most dangerous things a motorist can do. In a similar way to alcohol (some may argue that it is a worse way), drugs undoubtedly affect a motorists ability to be effective behind the wheel. Not only can drugs skewer your perception of space and time, it can almost completely remove your sense of danger. As a consequence, a drug driver may be more likely to speed or take unnecessary risks as they cannot perceive the danger in front of them. The length of time that a drug stays within someone’s system will be dependent upon that individual however this is where the difference between legal and illegal drugs becomes hugely significant. If you are driving under the influence of a legal drug, you may have a statutory defence (as in, a defence that is clearly defined in the law) provided your driving was not impaired and that you have only taken the medication in accordance with how it was prescribed by the health care professional who administered them to you. The limits for most legal drugs is significantly higher than those of illegal drugs to try and accommodate the levels one would expect to be in a person’s system had they taken the drugs properly. You should always liaise with your doctor about whether or not you are able to drive after taking any type of medication and GP’s across the country have been given guidance on exactly what information you need to know to ensure the dangers are reduced. The limits for illegal drugs however are extremely low and almost border a zero-tolerance approach. As a result, your driving does not need to be impaired for you to be charged. The worrying reality is that even if you do not feel as if a particular drug is affecting you, this may not always be the case and you may risk your own life as well as those around you by driving. Drug driving is one of the most serious allegations a motorist can face with penalties starting at a minimum disqualification from driving of 12 months. In more serious cases, a motorist may face up to 6 months in prison for committing this offence and a fine of up to £5000 will also be imposed. These figures are reflected in our own increased workload of cases involving allegations of drug driving. When the legislation was first introduced in March 2015, it seemed that many police forces across the country were somewhat reluctant to put the new procedures into practice; possibly due to their unfamiliarity and lack of training in some regions. The Christmas campaign has really kicked the initiative into a higher gear and Olliers Motor Law are dealing with a much greater volume of enquiries relating to drug driving; many of them as a direct result of the Christmas crack-down and drug driving trials are filtering down into our court diary. If you are arrested for drug driving it is likely that you will be taken to the police station in order to provide a blood sample for further analysis and won’t be charged straight away. We would recommend that you contact us immediately as the pre-charge action that we recommend in drink driving cases can be applied to drug driving cases as well and this can make a huge impact upon your chances of successfully defending the allegation and saving your driving licence. As drug driving cases involve a sample of blood or urine, they are dealt with in a very similar way to those of drink driving in terms of how they are defended. It is worth noting that our success rate at defending these types of cases is 100% and we would strongly urge anyone charged with this offence to seek legal advice immediately. Need Help From a Specialist Road Traffic Lawyer? Written by Neil Sargeant, head of Olliers Motor Law and a road traffic specialist since 2008 . 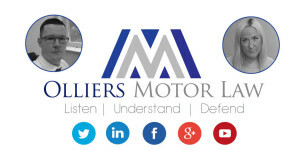 If you are facing a potential allegation of drug driving then please give the team at Olliers Motor Law a call on 0808 168 0017 and they can advise you on the options available.